Once approved and published by AIA staff, you may edit or delete your fieldwork opportunity listing at any time. You will see a list of links to your fieldwork listings (underneath heading "Your Pages"). View your listing, and you will see a tab to "edit" near the top of the page above your project name. You may edit any of your information, including season and deadline dates. Be sure to update your "Expiration date for listing" near the bottom, as expired listings will not appear, even if their season dates are updated. When done, click "Save" at the bottom of the page. To delete a listing, click to edit, then use the "delete" button at the bottom of the page. You will get a message to confirm the deletion. Click button to delete. Please note that deletion is permanent. For questions about AFOB, please contact kmullen@aia.bu.edu. 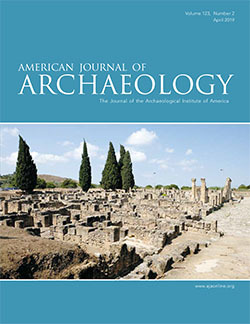 For problems with your AIA website login, contact website@archaeology.org.